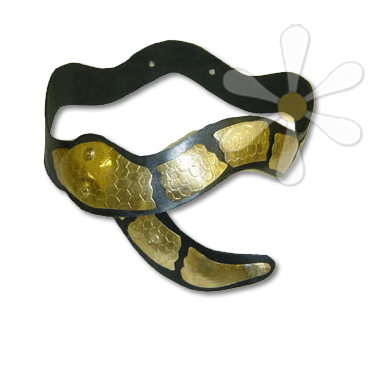 This beauty sssslitherssss around your waist in waves of snaky goodness like a cobra! The hand-etched brass plates lead toward the 'head', which anchors the fit, whether you wear it low on the hip or as a cinch at your natural waistline. Gorgeous! Handcrafted in Morocco from natural tanned leather.